Will Brooks has thirty years of experience in the banking and securities sector, having trained at a medium sized firm in London where he qualified as a Chartered Accountant in 1980. He then joined Peat Marwick Mitchell & Co (now KPMG) in London, where he stayed for five years, specialising in advisory work for banks and securities companies. Since then he has held senior financial management roles in banking, securities and retail financial services businesses. His experience includes American and Japanese as well as British commercial environments. He is also a Chartered Tax Adviser (CTA). Most of his career has been spent in the City, where he rose to become Finance Director of a clearing member of the London Stock Exchange. 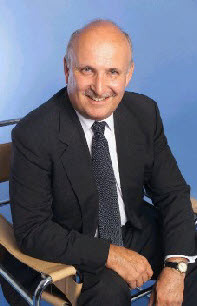 He originally established what is now Eximus Capital in 1990; and has served as Managing Director since then. In recent years Will has become active in the affairs of the Institute of Chartered Accountants in England and Wales (the ICAEW) and is a regular speaker on the Institute's behalf at courses, conferences and exhibitions. 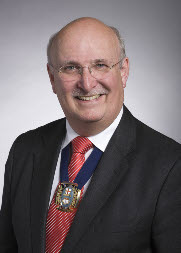 During 2009 and 2010 he served President of the London Society of Chartered Accountants (the LSCA). The LSCA is the largest of the 22 district societies of the ICAEW, with over 32,000 of the Institute's 137,000 members. In June 2011, Will was elected a member of the national Council of the Institute. Will has a strong personal interest in matters relating to education, training and disciplinary matters, serving on various committees for the ICAEW nationally. He is also a member of Court of the University of Lancaster. Will's specialist area remains corporate finance advisory work, although from time to time he also undertakes other business consultancy and banking advisory projects. His background and experience enable us to offer new ideas and innovative solutions to a range of client assignments. Click here to send a message to Will.